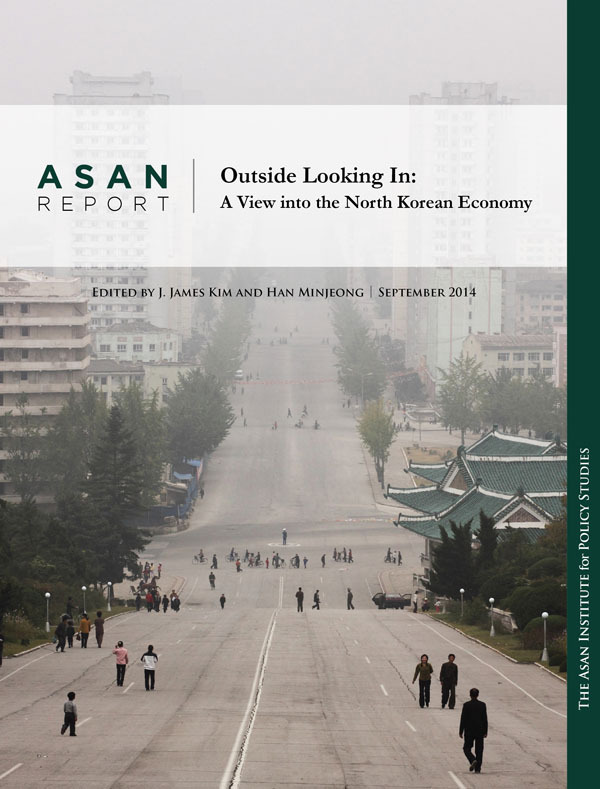 This report seeks to provide the most up to date assessment about the economic conditions in North Korea and suggest some possible ways forward. Agriculture has proven to be a lasting stumbling block for the North Korean economy. Can the Chinese and South Korean experiences provide the North with alternative paths? At the same time, China has emerged as North Korea’s most important trade partner. Just how deep are those ties? In 2013, the North Korean government placed renewed emphasis on special economic zones. What lessons can North Korea learn from the Chinese experience? Drawing on research presented at seminars held in Mongolia and Vietnam, these are some of the questions that will be answered in this report. Part I outlines the current state of the North Korean agricultural sector. Ed Reed’s contribution begins with a comparative historical overview of agricultural development in the two Koreas. 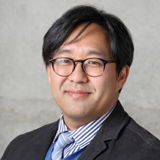 His analysis reveals that the agricultural systems in North and South Korea in the 1950s were based on small landholding farms with decentralized village level cooperatives. Interestingly, however, three decades of authoritarian rule in the two countries produced divergent outcomes. On the one hand, North Korea’s rural development relied on the highly centralized and collectivized agricultural sector which was heavily dependent on China and the Soviet Union. South Korean agriculture, on the other hand, was based more on market-based interactions and trade. The result was a North Korea that suffered bouts of food shortage while South Korea flourished under prolonged period of overabundance. Reed attributes the failure of the North Korean agricultural sector on poor policy choices (i.e. juche), overdependence on trade relations with other socialist states, unfavorable ecological conditions, poor infrastructure, lack of modernization in the agricultural production process, and lack of market incentives. Some recent changes, such as the June 28 measure, attempted to address the last of these problems in different ways, but Reed agrees with the UN reports that these piecemeal efforts are due to fail without corresponding market and land reforms. The key recommendation is that North Korea switch out of the command economy and seek cooperation with South Korea. While Reed’s suggestions are worth considering, it is not entirely clear why cooperation cannot be pursued with other countries in the region like China, Russia, or even Japan who all have a stake in North Korea’s internal stability and peace. In contrast, Kwon Cheol-nam’s chapter compares how China has implemented a sweeping reforms in tandem with the agricultural and land reforms. What this example illustrates nicely is that reforms like these can be achieved gradually and deliberately with an eye towards tailoring land and agricultural reform in a manner that complements the existing conditions. Take, for instance, the introduction of market pricing mechanism on agricultural goods. This process was introduced in three stages, where the state first allowed farmed goods to be sold on the market in which the state was one of the largest consumers. In effect, a dual pricing system was established whereby price of non-essential goods were allowed to fluctuate according to market supply and demand but the price of essential goods was determined by the state. Over time, the number of essential goods diminished. In the final stage, the government raised its purchasing price gradually to reflect the market price. Establishment of a strong market incentive seems to have been the driver behind the successful implementation of this policy. Again, the important takeaway point here is that a successful agricultural reform is possible without a wholesale system-wide change. Of course, Kwon does not downplay the challenges. Like Reed, he holds infrastructure development is a problem. However, he specifically points to three factors behind the North Korean food crisis: poor ecological conditions, weak policy linkage between national development strategy and agricultural reform, and the international context. For Kwon, the way out for North Korea is the adoption of Chinese-style open market reform with a bias towards export orientation. Introduction of market based incentives must be coupled with land reform that promotes property rights and increased flexibility in the rural labor market. Lee Jong-kyu and Nam Jin-wook explain that the key vulnerability in the North Korean economy arises from narrow yet deep dependence on its trade with China. Their analysis of North Korea’s trade portfolio further reveals that exports are primarily focused on primary and low cost manufactured goods (i.e. textile). In this sense, North Korea’s development policy, if it exists, is being implemented in such a way as to perpetuate if not deepen its dependence on China. Perhaps one key to mitigating the risks in the North Korean economy may come from the development of so-called Special Economic Zones (SEZs) in places like Kaesong and Rajin. Upgrading of the industrial manufacturing base with diversification of exports could lead to the minimization of risks associated with the problem of overdependence. One challenge with the SEZs, however, is the non-market risks arising from the political uncertainty within North Korea. The celebrated 2013 purge of several elite members from the previous regime, capped by the execution of Jang Song-thaek and the temporary unilateral stoppage of operations in the Kaesong industrial complex together reinforce North Korea’s image as a less than an attractive market for investors. Nonetheless, the importance of SEZs cannot be ignored as both Li Zhonglin and Im Geum-suk point out in their discussion of China. For Im, the Chinese SEZs were critical in developing the foundation for infrastructure modernization, attracting foreign capital, and consolidating the domestic capital market. 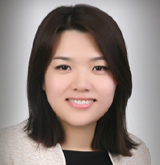 She sees the Rajin SEZ as a potential starting point for developmental takeoff in North Korea and as a tool for developing the greater Tumen River region. Better internal and external linkages for firms within and outside of the SEZ will likely result in larger spillover benefits for other sectors in the North Korean economy. At the center of this transition and development story is the state as Li Zhonglin observes. While the Chinese state has been fully committed to its development policy, North Korea is taking a more careful approach to this problem. What this suggests, of course, is that the kind of change necessary to make economic transition in North Korea possible is largely fundamental in nature and it ought to begin at the top (rather than the bottom). Again, this does not necessarily mean that North Korea will require a regime change but it does mean that a change may be in order for the leadership when it comes to thinking about economic policies in North Korea. The report outlines the key features of these recommendations below. 1. Introduction of market incentives and resources. Two essential elements with regards to the agricultural sector: 1) land tenure arrangements that provide returns for effort, encourage investments in rehabilitation of the soils and ecologically sound farming patterns; and 2) market structures that provide correct price signals for inputs and outputs. 2. Decentralized production, marketing, and distribution. For agriculture, this means giving farmers more discretion to select the type of crops they wish to cultivate and implementing a mixed production marketing and distribution system whereby farmers can sell to both government and individual consumers. Similar kind of arrangement can be utilized for inputs (i.e. seeds and fertilizers) where the sale of minimum required inputs can occur through state or cooperative outlets but farmers can access open markets to purchase additional inputs as needed. In the manufacturing sector, this means phasing in open market reforms through joint ventures and foreign investments. 3. Focus on export oriented industrialization. While North Korea may continue to maintain a small agricultural sector, it will inevitably require a larger commitment to developing the domestic industrial capacity. The focus should be on exports. Much of the decline in domestic food production can be managed through trade. 4. Modernization of infrastructure and manufacturing capacity. Introduction of automation and mechanization in all sectors of the economy. For the most part, basic infrastructure in North Korea is outdated. Lack of modernization in basic transportation, roads, and energy are critical for not only managing the development of the Special Economic Zones (SEZs) but also serve as an important basis for increasing the productive capacity in other sectors of the economy. Instead of taking on this task single-handedly, the government may benefit from introducing competitive bidding system on public construction projects. 5. Diversification of trade partners and goods. Manage the risks from overdependence on limited trade partner(s) and good(s) through increased diversification. 6. Reduce geographic and institutional barriers to labor mobility. One reason for the success of China’s economic reform, for instance, was the ability to shift qualified workers to areas of the economy that was short on labor supply. Increased mobility proved crucial in allowing the input side of the economy to make quick adjustments to meet the productive demands. While above measures are changes that North Korea may consider implementing on its own, there is some room for cross-border cooperation with external actors. 7. Capital investments and joint ventures. As all of the contributors noted, initial capital for development of industrial capacity in North Korea will inevitably require foreign capital. While private investments can be drawn by preferential terms and conditions, North Korea may want to utilize joint ventures and/or assistance from international financial institutes, such as the World Bank or the Asian Development Bank, to reinforce its own public financing. 8. Investments in research and development (R&D) and technical knowledge. One way to manage the problem of food shortage arising from the harsh ecological and climate conditions in North Korea is to develop and introduce more hardy and drought resistant crops. Collaboration with other countries, such as China, South Korea, Japan or even the US could prove useful in this regard. As for the manufacturing sector, the key to continual development and staying ahead of the middle income trap is development of human resource capacity. Basic investment in secondary and post-secondary education will prove critical in this regard. Much of the joint business ventures could also incorporate elements that encourage skill transfer. One advantage for North Korea is the proximity to neighboring countries that have extensive knowledge and experience in developing an economy. While every country is unique in its own regard, there are important lessons that North Korea can take away from the developmental experiences within the region. We have outlined a few above. Of course, the above recommendations come with some important caveats. Many of the recommendations hinges on the availability of abundant supply of capital, much of which is likely to come from foreign sources. Foreign investors, however, are not likely to make significant investments in North Korea unless someone (i.e. state) is able to provide assurance that those investments will be protected. Given the recent leadership change within North Korea, along with series of provocations, including the temporary closure of Kaesong Industrial Complex in 2013, nuclear tests and rocket launches (among others), it is unclear whether the North Korean state can do much to buttress this guarantee in any credible manner. The goal of this report, however, was not to advocate for policy change within North Korea but to illustrate some concrete measures that the decision makers can take when the opportune moment arrives for change.